MS Tech Solutions is a telecommunications company based in Kingston, Jamaica that operates in the Caribbean and South America. MS Tech designs, implements, configures and integrates network, security and IP contact center solutions, as well as IPT and wireless solutions. The MS Tech Consulting Team consists of certified and experienced professionals that have been behind the design and implementation of highly sophisticated networks. MS Tech Solutions relies on its dedicated team of experts that have the knowledge and experience required to guarantee the success of a complete telecommunication solution. Iberostar Hotel and Resorts currently offers over one hundred 4- and 5-star hotels in sixteen nations. 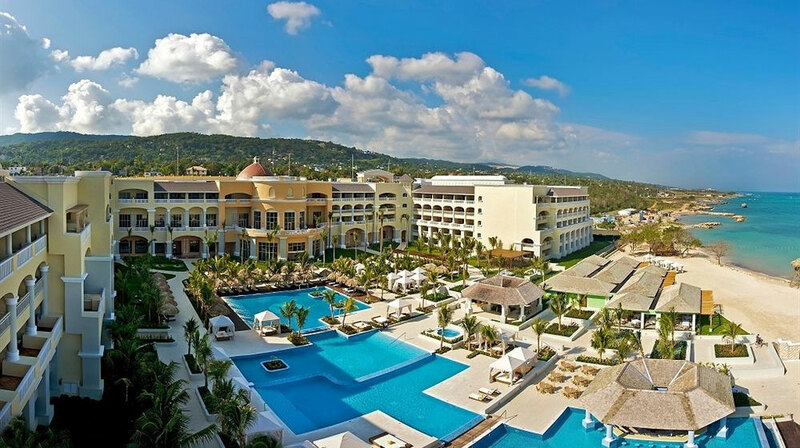 In Jamaica, the chain has three 5-star resorts on a property in the north coastal city of Montego Bay. The Iberostar Grand Hotel Rose Hall, Iberostar Rose Hall Beach Hotel, and Iberostar Rose Hall Suites Hotel provide a total of 1,342 guest rooms. The Iberostar brand prides itself on being synonymous with quality, providing impeccable service and personal attention to guarantee total guest satisfaction. With wireless connectivity available only in the hotel lobbies, the hotels found they were fielding many complaints from guests about the outdated wired Internet connection in rooms and complete lack of Internet access in outdoor areas. In keeping with Iberostar’s wish to satisfy guests with a growing variety of devices, they engaged MS Tech to provide a cost-effective expansion to their wireless network to cover all guest rooms and pool and beach areas. They also wanted improved coverage in the lobby areas. The flexible IP-based Tropos Mesh Architecture was employed and central management was to be executed by utilizing the Nomadix AG 5600 Access Gateway, offering a full suite of intelligent and secure solutions with the widest range of network applications for the hotel’s need to support hundreds of simultaneous guests and administrative users. EnGenius products were selected for both their cost and capabilities. To ensure a wireless network that delivered complete and uninterrupted coverage throughout outdoor and public areas, MS Tech decided to deploy the ENS202EXT with its two external 5 dBi omni-directional antennas to maximize wireless connectivity. The ENS202EXT’s 300 Mbps wireless speed allowed for accommodating the large number of guests in these areas. The IP65-rated weatherproof housing was especially beneficial in the tropical climate. Outdoor access points were used indoors as well, as they provide stronger signals and better coverage in the concrete-walled rooms. Also, the IP65-rated weatherproof housing was ideal for high-traffic, damage-prone hotel rooms with the constantly changing environmental whims of each new guest. For the total three-hotel project MS Tech used ENS200EXT access point in all guest rooms; the hotel lobbies; the theatre of the Suites hotel; and the pool and beach areas of each hotel. By the end of November 2013, EnGenius access points were to be installed in all 3 hotels, encompassing 1,299 guest rooms, 3 lobbies and 3 pools and beach areas. The network infrastructure and EnGenius wireless access points installed by MS Tech provide guests with reliable wireless Internet throughout all three hotels, whether relaxing in their rooms, working in lobby or lounging by the pool. The long-range, fast-speed and competitive pricing of EnGenius access points allowed MS Tech to provide Iberostar Rose Hall with a cost-effective, high-performance wireless Internet solution.